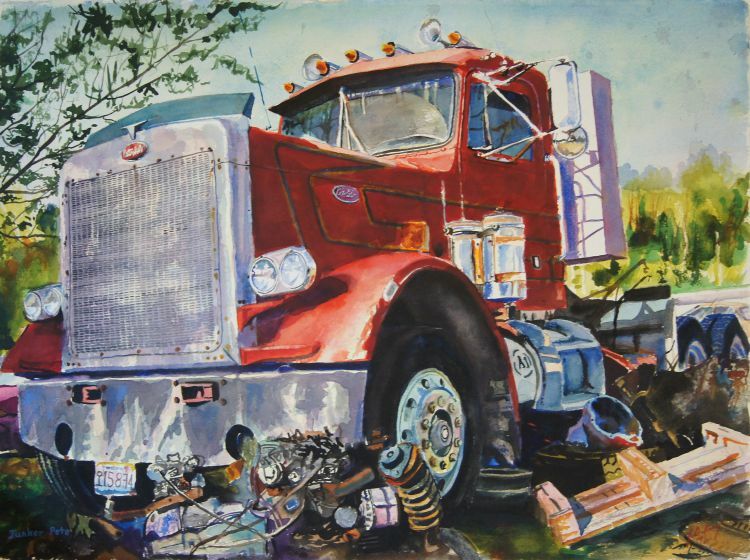 Here is a Peterbilt I found just East of Columbia amidst a bunch of miscellaneous junk. Looks like a bell housing for a transmission just underneath the fuel tank. Watercolor, 2008. 300 lb Arches. Dimensions: 30in. × 0.1in. × 22in.